If you haven’t heard of the Peached Tortilla, you will. It’s one of the hottest new food trailers in Austin and recently made some local fame at SXSW when hosting Rachael Ray’s Greenhouse party. Its food theme is Asian/Southern fusion and ranges from banh mi sliders to Nutella wontons. 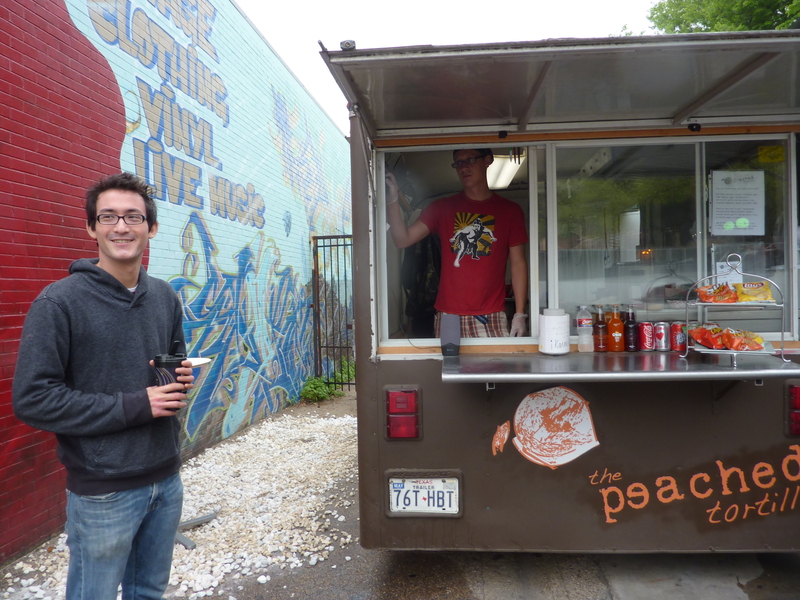 Just this month, Peached Tortilla expanded itself to a second location right next to Hole in the Wall, on the corner of the Drag and Dean Keeton. Peached Tortilla 2.0 is smaller than its original counterpart and with a more limited menu selection, but at least it’s tasty trailer food right next to campus for lunch every weekday. The people are very friendly and nice. The trailer seems hygienic since you can see the food being made and it’s really too small to get very dirty without people noticing. I think that’s something different about a trailer with windows: you can see how clean or not clean the kitchen is. 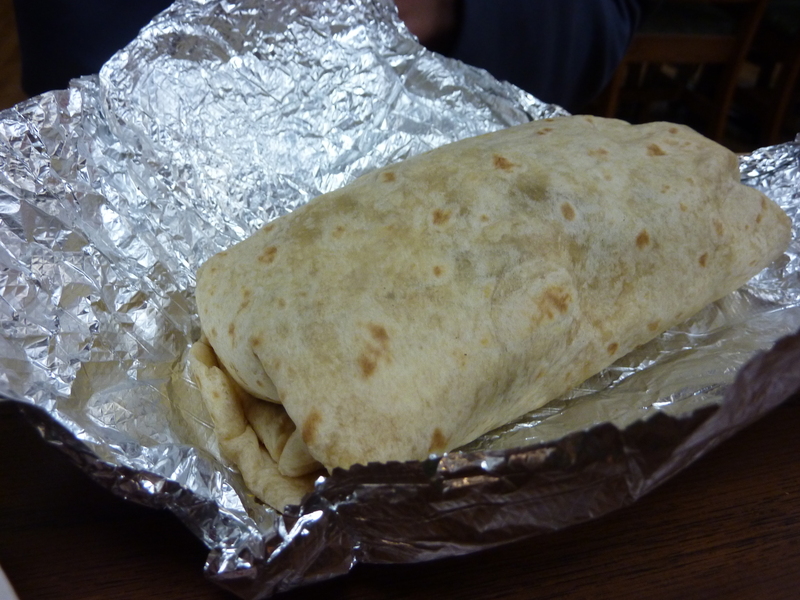 Take-out is nice with the people being thoughtful by wrapping the food in foil and putting it into a paper bag. Definitely kept the food at least warm and not falling all over the bag. Displayed open-faced so you can see the yummy ingredients before you taste them. 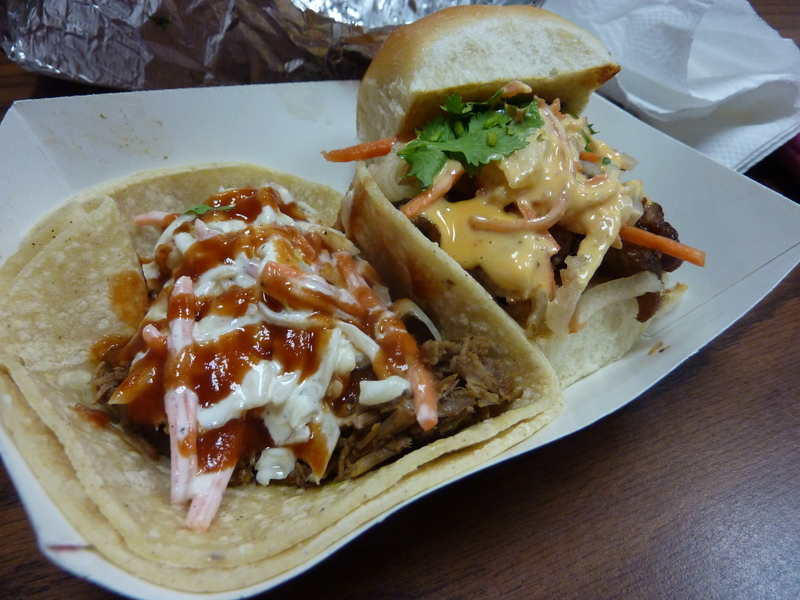 I got the banh mi slider and bbq brisket taco on corn tortilla. The taco was good, but not tasting the peach mint stuff. Sweeter brisket and moist. 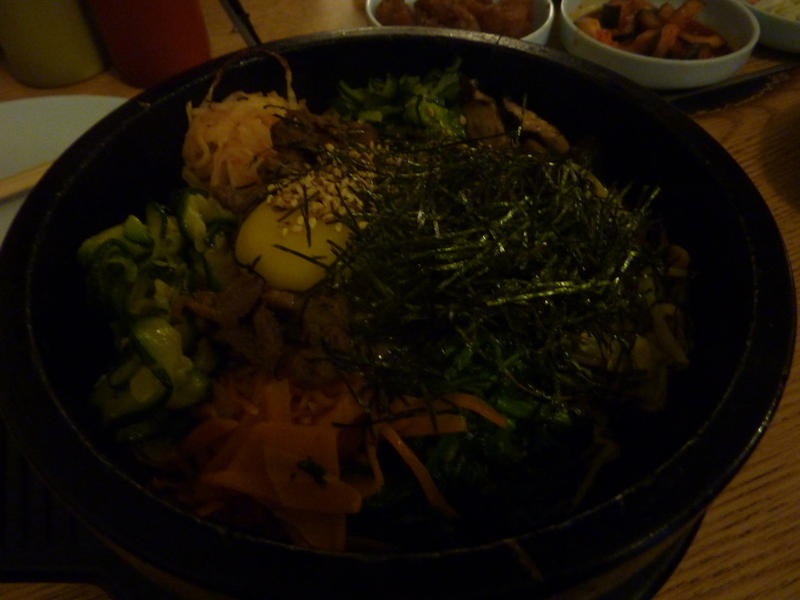 I liked the crunchy slaw on top of it and overall quite tasty. A good mouthful for $2.50. The banh mi slider was $3. It was on Hawaiian bread and slightly buttered and toasted, which was yummy. Definitely gave a lot of pork belly (also known as thick-sliced bacon) with a creamy sweet and sour sauce and slaw on top of it. Cilantro is prominent and gives an added dimensions that is delicious. I also liked the presentation in that it shows off the amount of ingredients in your food. As you can see the burrito is reminiscent of the size and look of a Chipotle burrito, but it definitely tastes different on the inside. There are also burritos for $6 that don’t seem to be sold from the original truck. They are like the slightly smaller cousins of the burrito size of Chipotle and is more of an Asian fusion burrito. Pad thai burrito seems to be quite popular, but there are a number of others like bbq brisket. My friend tried that and he deemed it tasty and filled him up for lunch. Another friend tried the pad thai taco and she found it quite yummy as well. 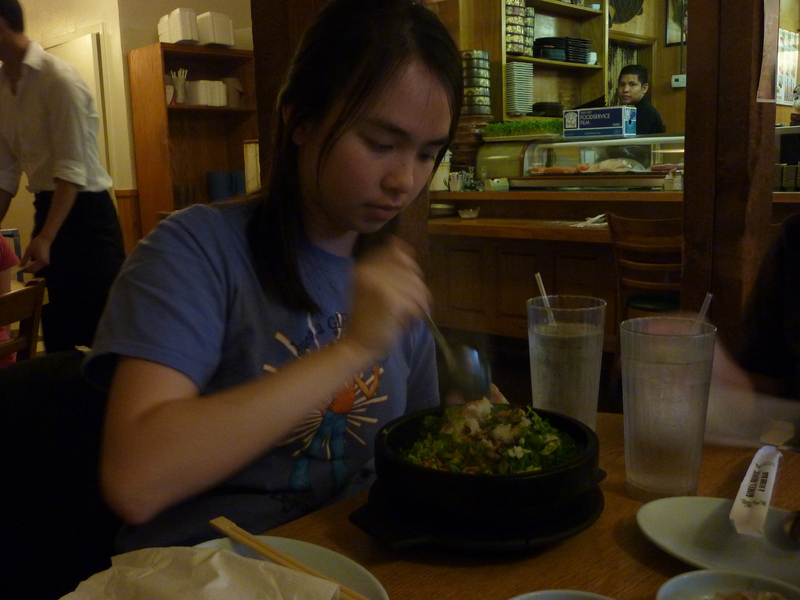 It was sweeter and definitely not the classic pad thai taste, but that’s what made it fun and different. I think the flavors of Peached Tortilla tend to err on the sweet side, but that may be due to the sauce on the slaw. 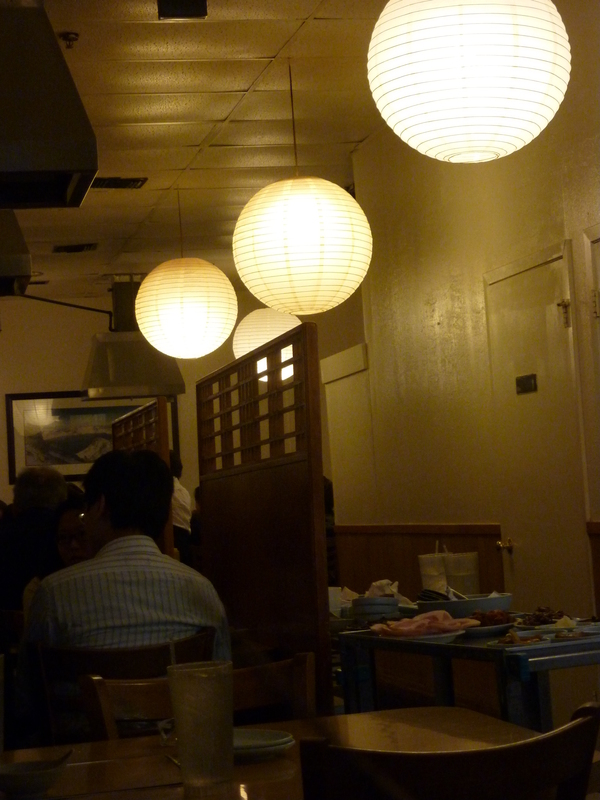 I feel like it’s pretty yummy though and an interesting place for Asian fusion. I think the sliders are definitely the highlight and what makes the place different from other food trailers. Definitely my recommendation is to at least try the banh mi slider. The servings are just the right size for a snack and even a meal. However, it’s also fun to share with buddies or just try a bunch of different foods at once since the servings are relatively small. There also seems to be a slightly more limited menu compared to the original food truck since there are no fries, wontons, or etc. on the chalkboard menu (though I didn’t ask if there were other choices off-menu). It’s a nice little place right next to campus and a good stop to try something different. Overall, Peached Tortilla seems like a tasty new place to try some trailer food very close to campus. 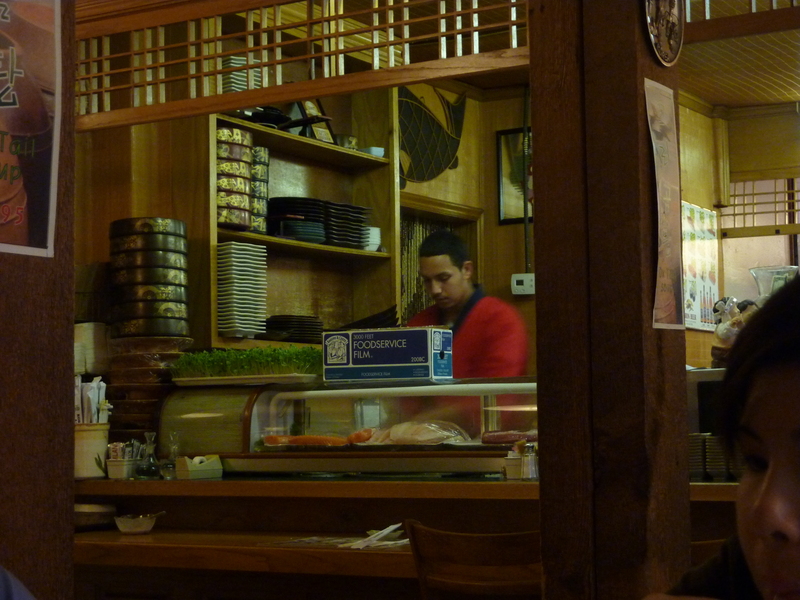 The people are friendly and nice and the food is pretty good for a fair price. They’ve recently opened so you can grab the food before the line starts getting too long like at Coreano’s (who will be the next review). Rating: 😛 😛 😛 😛 for tasty Asian/Southern fusion trailer food, limited menu, and friendly people. 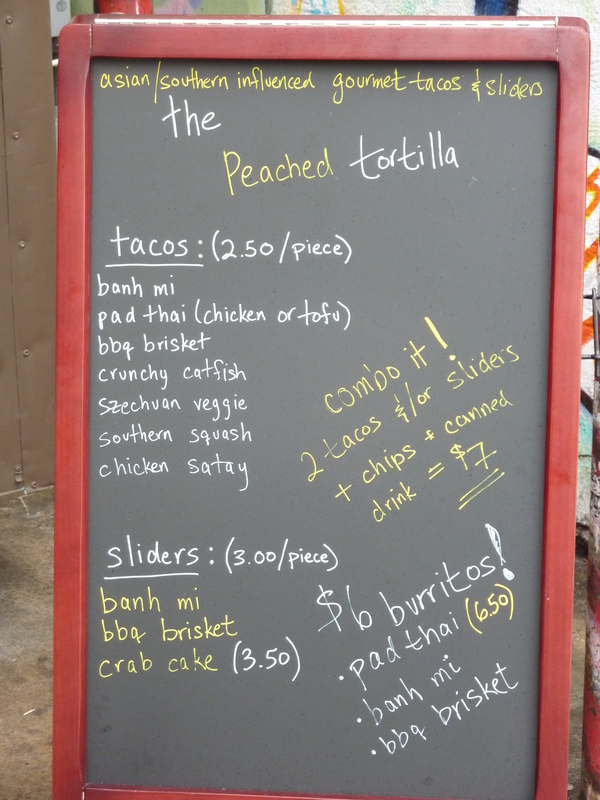 Go out and experience trailer food in Austin, right next to campus! 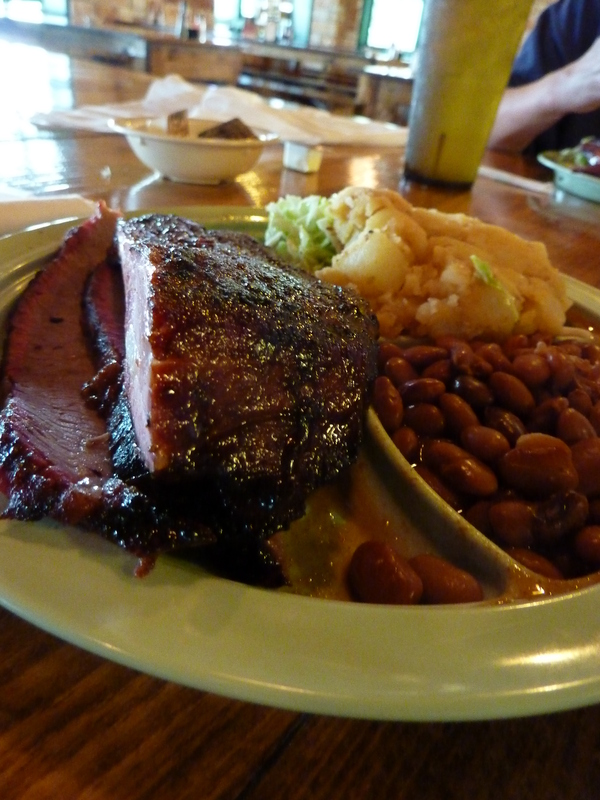 Salt Lick is one of the main barbecue places people tell you to try when you’re in Austin. Finally, after years of living here, I have tasted the famed BBQ . 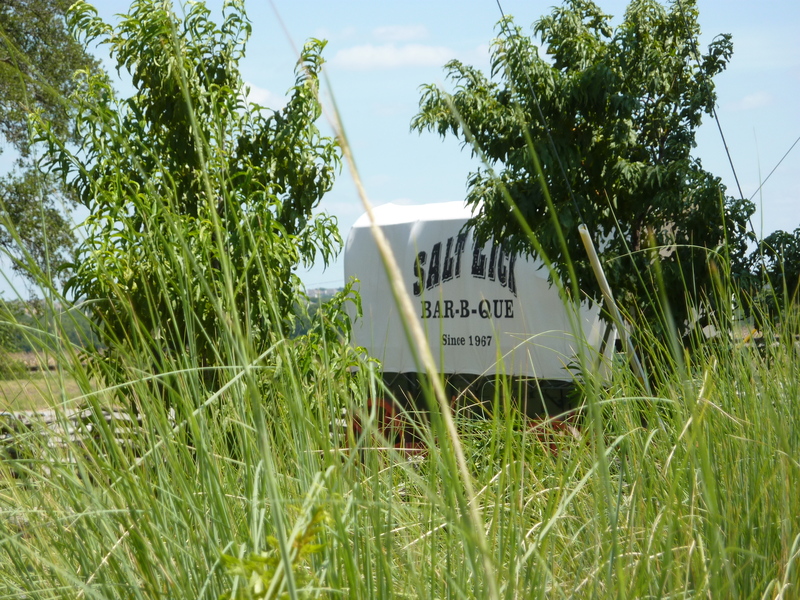 It is definitely one of the tastier barbecue places I’ve been to and if you like the more savory and smoky barbecue taste, I would definitely recommend Salt Lick to anybody looking for some good Texas BBQ. 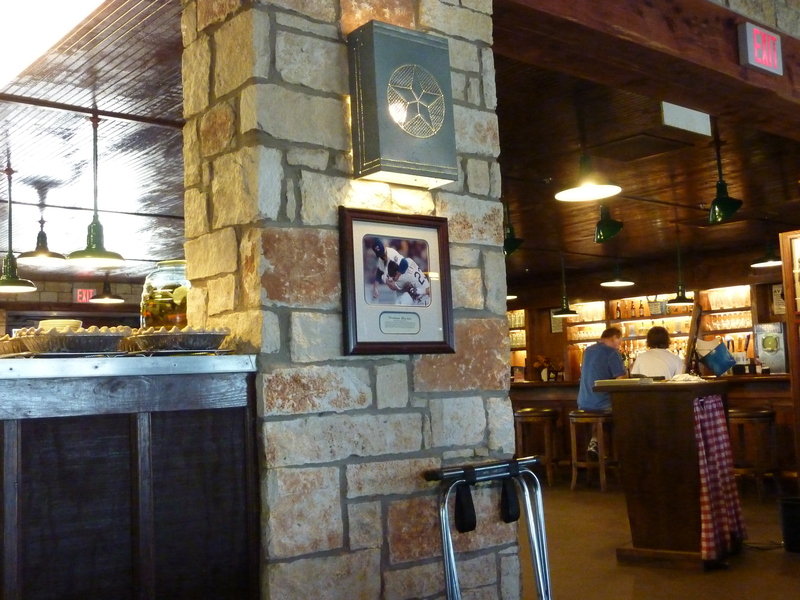 Salt Lick sits on the outskirts of Austin in Driftwood, by the Dell Diamond in Round Rock, and as a welcoming sight for airplane passengers at the Airport. Driftwood is the original location where you pay only with cash and can B.Y.O.B. However, since we were on the north side of Austin when we got a hankering for barbecue, we ended up at the Round Rock location. 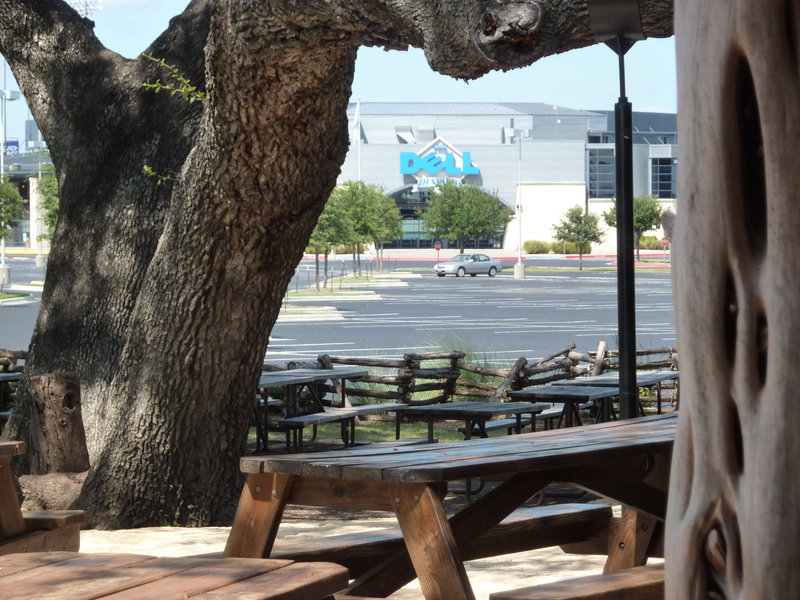 The location I went to, Round Rock by Dell Diamond, is the one where Nolan Ryan likes to eat and is in eyesight of the baseball stadium that houses the minor league team for the area. The Driftwood location is the original and infamous for its BYOB policy and necessity of cash. The location at the airport is a great place to stop by and get a little barbecue before you leave on the plane. 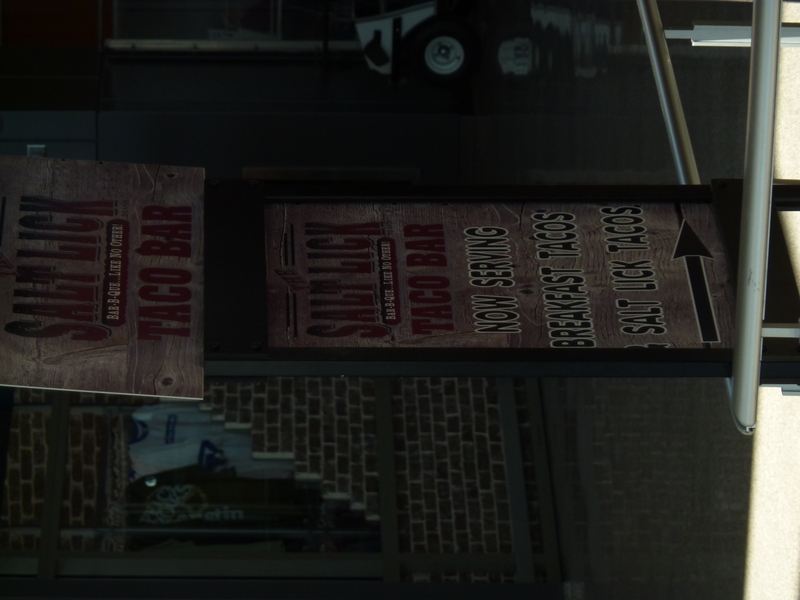 The food at the airport looked quite similar to the food at the Round Rock location and even had a tiny barbecue pit of its own. The best deal for a lot of food is Family Style. It’s a little pricey per person, but it is SO much food for one person. Definitely worth it if you can take it. However, since my stomach is small, I got the meat combination plate with the pork ribs and beef brisket. The barbecue is good. Not too fatty and definitely a smoky taste. The ribs were the huge spare ribs kind and well seasoned, but quite full of bone. You know it came from an animal. The brisket was perfectly moist to a little on the dry side, but if you want a lot more juicy brisket, you can order “moist.” The seasoning for the meat is great and I really wish there was more, but the sauce was OK as additional flavor. 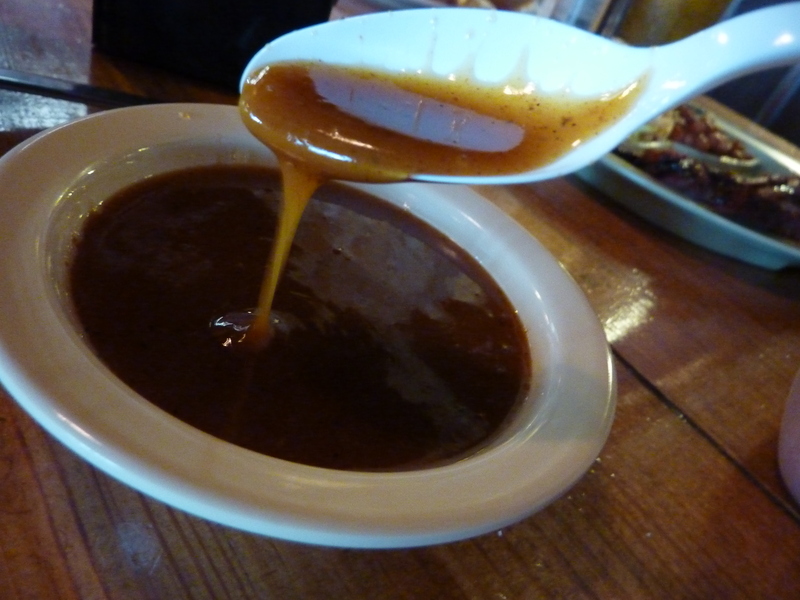 The sauce itself is slightly spicy and more sour and savory versus sweet. The sides were really amazing. Not any of that processed fatty stuff, but that good ol’ homemade rib-stickin’ kind. The potato salad is not the kind full of mayonnaise, but the sort where the potatoes have been slightly mashed, seasoned, and aged to a softer texture. 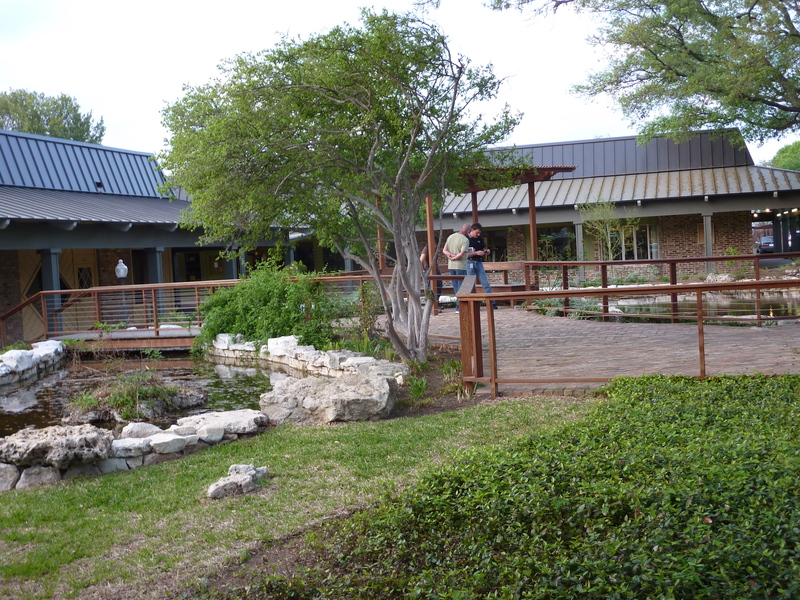 I guess you might call it German style and goes right along with our Texas history. The cole slaw is also not full of mayonnaise, but well-marinated and crunchy. The beans were cowboy beans as in no oversweetened BBQ sauce to drown and soggy the beans. It was the real stuff and it was delicious. You do get normal sandwich bread for the sides, but it was fine. It sopped up the sauce well and did not take away from the flavor of the meat. 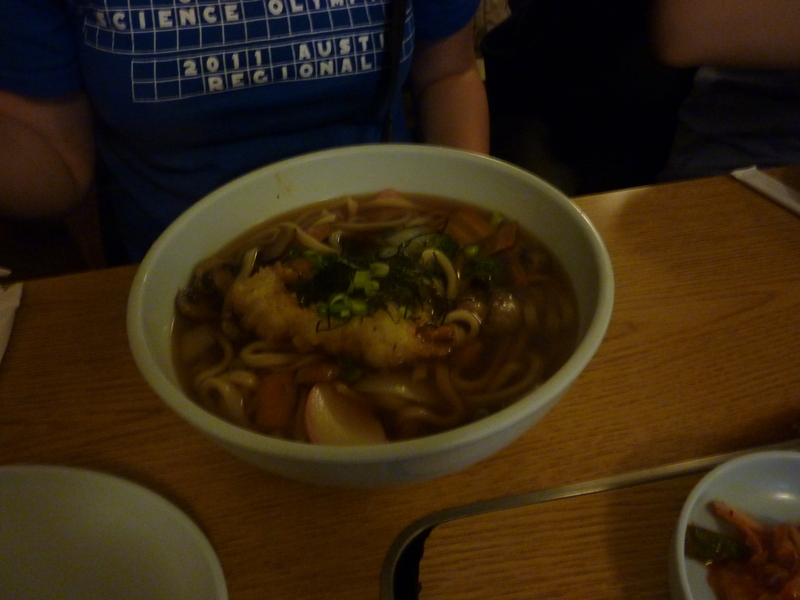 There were also pickles and onions for additional flavor and texture. 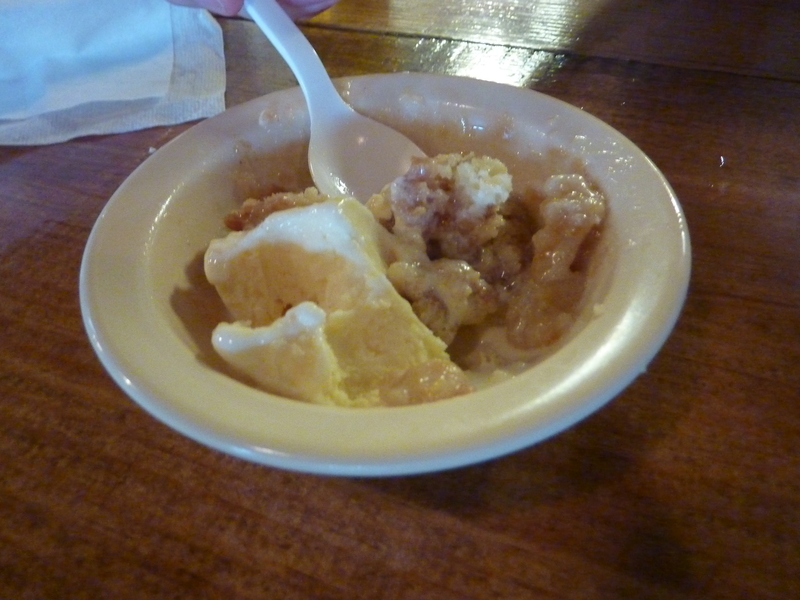 Finally, even though we were full, we were tempted enough to try the peach cobbler. It was OK, but not great. Not something you drive miles for, I’ll admit. However, it was good homemade cobbler and the peaches were not too soggy or overly sweet. Absolutely delicious with the Blue Bell ice cream, a Texas and especially Austin classic. 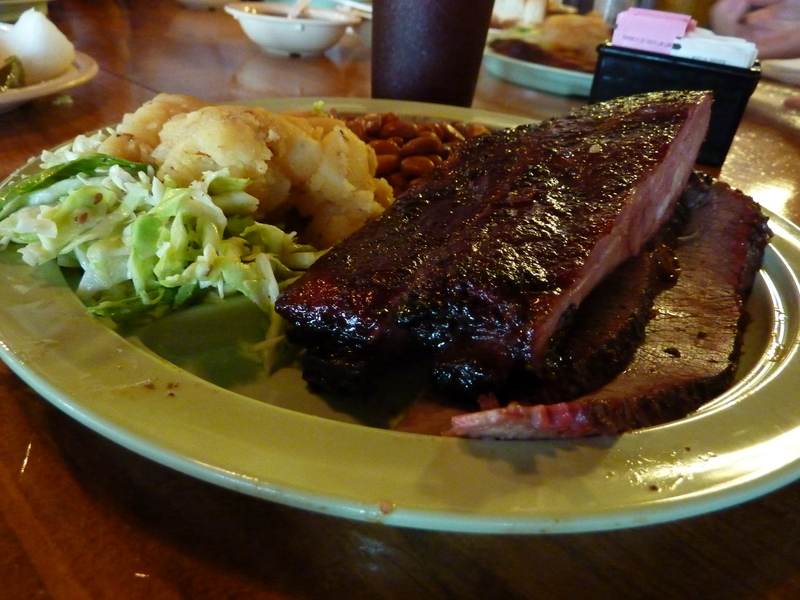 Overall, you can get the real ambience of a Texas BBQ. 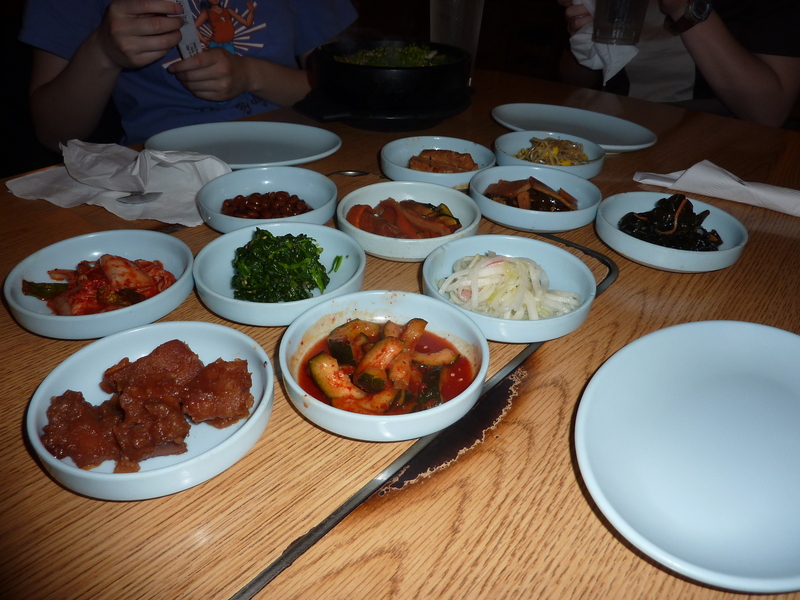 However, because of this, everything is a bit more sour and peppery than you’d usually get at a barbecue place. The sauce is more savory and spicy than sweet and the place is not catering to those who eat with a fork and knife. We’re talking about loud, meat-eating, finger-lickin’ diners so be prepared to come out a little messier than the way you came in. Rating: 😛 😛 😛 😛 ½, I would recommend it to everybody if you like a different type of barbecue than you’re used to. 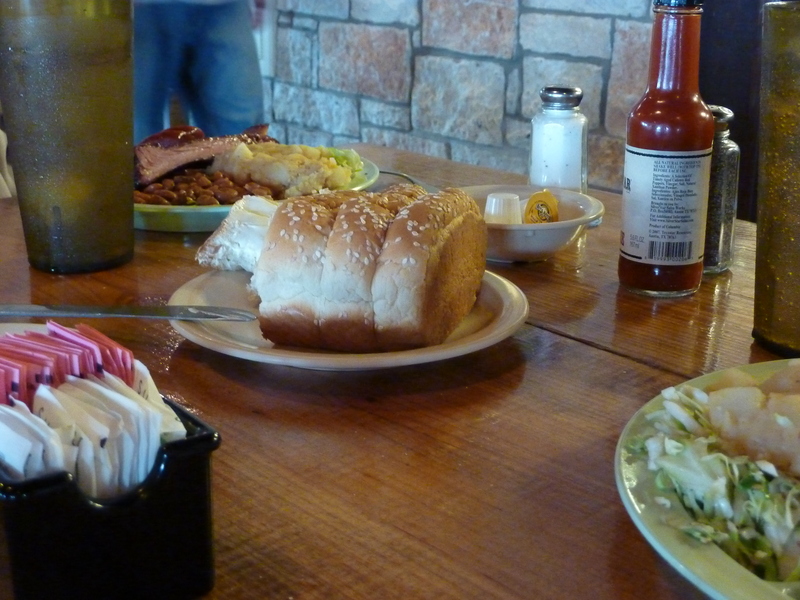 For everyone else, I will admit, try out Rudy’s if Salt Lick isn’t your thing. Rudy’s is still one of my favorite places for BBQ in Austin. However, you’re totally missing out on the delicious sides and one of the best BBQ rubs I’ve tried in a while.